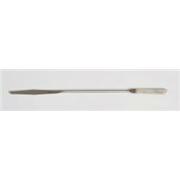 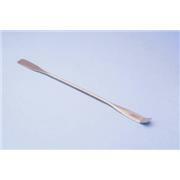 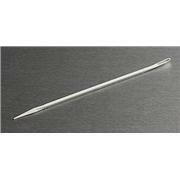 Stainless Steel Micro Spatulas with varying ends. 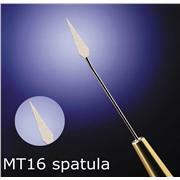 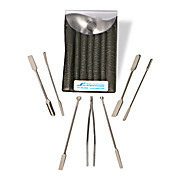 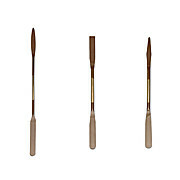 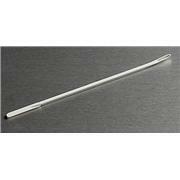 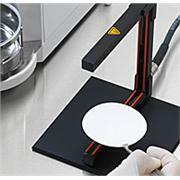 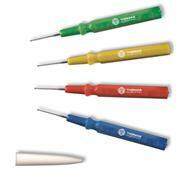 We offer a versatile product line of consumables for sampling by FT-IR spectroscopy, including the 10 mm Micro Spatula. 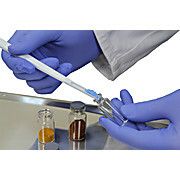 … Applications include dispensing/transferring expensive chemicals, placing particulate matter in weighing containers, applying micro amounts of adhesive for tacking down specimens and mixing small granular samples. 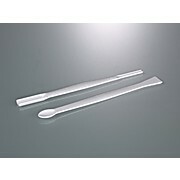 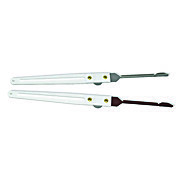 The four spatula blade widths are 0.1, 0.3, 0.5 and 1.0 mm. 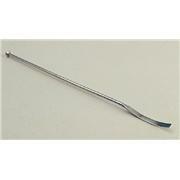 Overall length: 60 mm.